INWOOD — An Uptown politician wants to plug Northern Manhattan into the city’s growing tech sector. 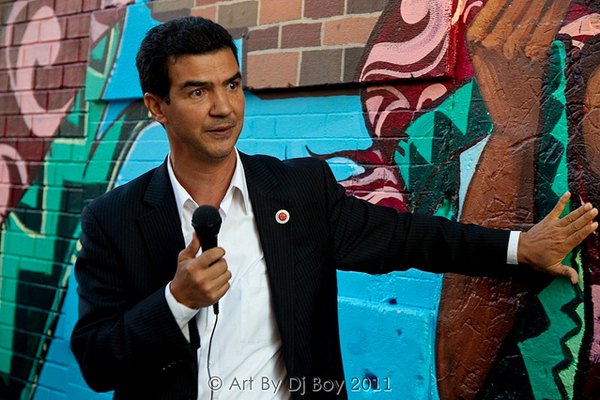 City Councilman Ydanis Rodriguez plans to announce a proposal to redevelop a large swath of land in the easternmost part of Inwood into a hub for the technology and health care sectors. The project, which he plans to announce in his state of the district speech this Sunday, would also create thousands of units of new housing, much of which would be affordable, Rodriguez said. Under the proposal, which has already earned initial support from the mayor’s office, the city would rezone 100 acres of land that sits between 10th Avenue and the Harlem River, from 201st to 220th streets for a mixed-use residential development. The area is currently zoned for manufacturing and includes auto-repair shops, warehouses and several nightclubs. Residents are invited to attend Rodriguez’s State of the District address at 2 p.m. on March 22 at George Washington High School.